Secretary of State William Galvin’s complaint says the Marlborough company has raised over $1 billion worldwide. They were recruited at churches and by word-of-mouth from Brazilian immigrant neighborhoods in the Boston area to Europe, Australia, and South Africa. In the end, TelexFree Inc. allegedly lured thousands of people to invest in what regulators call a billion-dollar pyramid scheme. Secretary of State William F. Galvin on Tuesday accused the Marlborough marketer of Internet telephone service of luring Massachusetts residents to invest $90 million in the scheme, targeting primarily Brazilian immigrants in a fraud. “While touted as a paradigm shift in telecommunications and advertising, TelexFree is merely a veiled pyramid and Ponzi scheme targeting the hard-working Brazilian-American community,’’ the secretary of state said in a civil complaint. Under the alleged scheme, participants could invest $289 or $1,375 and direct daily advertisements to websites promoting the company’s product, in return for annual returns as high as 250 percent. While some people who contacted the Globe on Tuesday said they had made money, others fear they have lost their life savings. Logatti said a friend had referred her to the company, and a TelexFree representative later visited her home with a suitcase full of cash to show the sort of riches she could reap. Now, Logatti is afraid she won’t see her money. “I asked, if something happened to the company, how would I get my money back? He said they would not file bankruptcy because they’re a very strong company,’’ Logatti said. But the company did file for bankruptcy protection on Monday, in US Bankruptcy Court in Nevada. Galvin’s office had been investigating TelexFree for several months. The secretary of state’s efforts to protect investor assets could be limited by the bankruptcy filing. A phone call to the company went unanswered, and the office’s voice mail system was full. “We anticipate that our global operations will continue to provide our customers with the high-quality products and services they have come to expect,” Stuart MacMillan, interim chief executive of TelexFree, said in a press release announcing the bankruptcy filing. 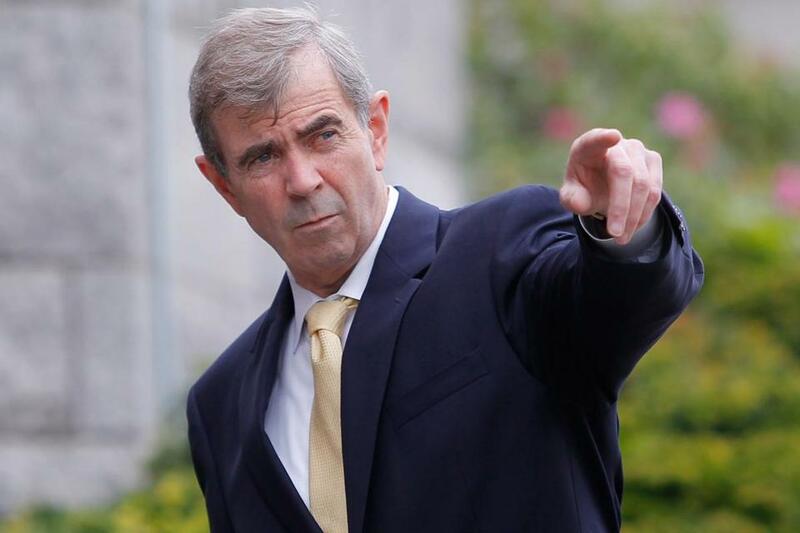 News of Galvin’s lawsuit spread quickly Tuesday. Barry Miller, a piano player in Cocoa Beach, Fla., said he had invested his life savings of $230,000 in TelexFree last year, and his girlfriend had invested more than $100,000. Every week, Miller said, he’d receive payments from the company. Such sums to Miller and other participants would appear electronically in their accounts. Several investors said they were supposed to be able to withdraw money every Tuesday, if they wished. But on April 8, the company website was not working properly, investors said. The site was completely unavailable this Tuesday. Miller said he had gotten about $21,000 back in four months and figured he’d double his money in no time. Instead, Miller said he worries that the money he was saving to buy a house and get married is gone. TelexFree’s fortunes have been sinking for some time. A judge in Brazil ordered the company to shut down there last summer, finding it to be a financial pyramid. The US Securities and Exchange Commission is also investigating the company, said a person briefed on the matter. In 2006, the SEC brought civil charges against De Vasconcelos for operating a fraudulent pyramid scheme selling prepaid phone cards. His Universo FoneClub Corp. targeted Brazilians and Brazilian-Americans in the Framingham area, according to the SEC. The company was ordered to repay $1.6 million to victims who eventually received about 76 percent of their money back, according to court records. De Vasconcelos was banned from selling securities. De Vasconcelos, who appears to live in Florida now, could not be reached for comment on Tuesday. State regulators said the founders of TelexFree, which was formerly known as Common Cents Communications Inc., are James Merrill and Carlos N. Wanzeler, both residents of Massachusetts. They did not respond to phone messages left at their listed numbers. Participants appear to have been lured by the promise of easy money. For example, an investment of $1,375 required an investor to place five advertisements per day, and purportedly reap a profit of $3,675, through weekly payments of $100. There were more ways promoted to make money. Recruiting one new investor could result in a $100 payment. Recruiting multiple people made participants eligible for a revenue-sharing bonus, according to the state’s complaint. It was unknown exactly how much money Massachusetts residents may have lost in the scheme. In most Ponzi schemes, some investors receive periodic payments — as long as money from new participants keeps coming in. But signs of strain started to surface last month. The company instituted new rules, demanding that participants put more money into the company in order to withdraw funds they had previously invested. Earlier this month, investors converged on the company’s office in Marlborough. They were met by police, who said they could not speak with company executives, according to investors invited to the gathering and a video posted online. Mark A. Berthiaume, a lawyer who is representing the company, did not respond to a request for comment. According to Galvin’s office, TelexFree employs eight people in its Marlborough office. To drum up interest, TelexFree would hold “extravanganzas” with large crowds and presentations promising cash and luxury items. Galvin’s office wants a judge to order TelexFree to stop its sales activities and to provide an accounting of all the money it received as a result of its alleged wrongdoing. The regulators also seek to force the company to compensate investors for their losses, give up any improper profits, and pay a fine. Beth Healy can be reached at beth.healy@globe.com.